At Atlanta REIA on Monday, January 5th, we are very excited to have Rhonda Duffy, Dyches Boddiford and Bill Cook, three very well respected real estate professionals sharing their insights on the Atlanta Real Estate Market. They will discuss what they’ve witnessed in 2014 and previous years, what is likely to occur in 2015 and beyond, and what it means to investors, buyers and sellers going forward in the New Year. Each guest speaker is actively involved in their real estate niche and is well respected by their peers. This is an opportunity to hear from folks who truly have valuable first-hand insights into the Atlanta Real Estate Market. You do not want to miss this meeting as we kick off the New Year with valuable information you need to know. Rhonda Duffy is the founder, owner and broker of Duffy Realty of Atlanta and she presently ranks as the #1 Agent in Georgia, 11 years in a row, according to the MLS and FMLS and also the #1 Retail Agent in the entire USA for SOLD properties. Considered as a credible real estate expert and consumer advocate, Rhonda has been interviewed and published in hundreds of articles. She has been in the Wall Street Journal at least 20 times, on CNN, CNBC, on 4 major news channels, on Clark Howard’s Prime Time Real Estate special, quoted on MarketWatch and many, many publications. 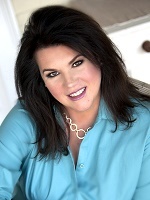 She is also an industry consultant, radio host and licensed auctioneer. Dyches Boddiford is a full time investor who speaks from year of experience in a variety of real estate areas too numerous to mention here. 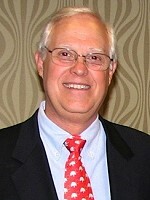 His seminars and conferences are intended for the serious real estate investor. In fact, every January a number of serious advanced real estate investors fly into Atlanta to spend a weekend networking, sharing information and listening to Dyches teach his Advanced Strategies Conference. One of the highlights of the conference is Dyches’ “State of the Market” presentation where he reviews the highlights of the current market and gives his insights and projections of the coming year. What is happening in the Capital Markets? What effect will Washington have on the financial world we operate in? What impact will Wall Street have on the Real Estate Market? Are there significant tax changes that will affect real estate? How will the political and economic climate affect the everyday real estate investor? 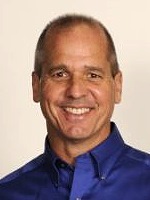 Bill Cook and his wife Kim have been investing in real estate since 1995. Their investment portfolio includes single-family homes, mobile homes, and a small mobile home park. When it comes to creative deal structuring and funding, Bill is among the best, most experienced investors in the country. Bill firmly believes that the key to being a successful real estate investor is to own a number of PAID-FOR investment properties than bring in mailbox money each and every month. Bill and Kim have been teaching others how to successfully invest in real estate since 1997 and have written a syndicated real estate investing news column since 2003 that is published in a number of Georgia newspapers as well as the Atlanta REIA Profit Newsletter. At the Meeting, Bill will teach you about the three stages of real estate investing: Starters, Estate Builders and Enders. Do you know which category you’re in? Do you know how to profit from the two categories that you’re not in? Are you aware that everything you need to do a deal is contained within these three groups of real estate investors: The deal, the money, the paperwork, the management, and the know-how? Did you know that you can find each category of investor at the Atlanta REIA meetings? What is a Starter, Estate Builder and Ender? What benefits do each group of investors bring to the deal-making table? Where will you find the best, fastest and safest source of money to fund your next deal? What’s the difference between being a bird-dog and a wholesaler…and is either one an Estate Builder? What is the primary paperwork used by each category of investor? Is it possible for flippers and wholesalers to retire wealthy? Come join us at the Atlanta REIA Main Meeting on Monday, January 5th and learn all you can about the Atlanta Real Estate Market from 3 highly successful, local real estate experts! New Year & New Goals, New Year Opportunities! Solutions to Your 2014 Real Estate Challenges! Will 2015 be the year you exceed your own expectations in real estate investing? Have you already set your goals and expectations for 2015 and know what success will look like for you? Whether you have or not, be sure to start the New Year off right with Rock and Russ on January 5th at the Meeting-before-the-Meeting at 5:00PM. In this one hour meeting Rock and Russ will teach you how start your new year the right way by creating a step-by-step plan of action, creating a system to become successful in your real estate niche or how to move your real estate business to the next level. Rock and Russ are two active and highly successful investors who will help you create a simple and yet powerful action plan for 2015. This is a no nonsense opportunity for you to start the New Year with a bang. The goal of this powerful training session is to have you walk out with plan of action for you future as a highly successful real estate investor. 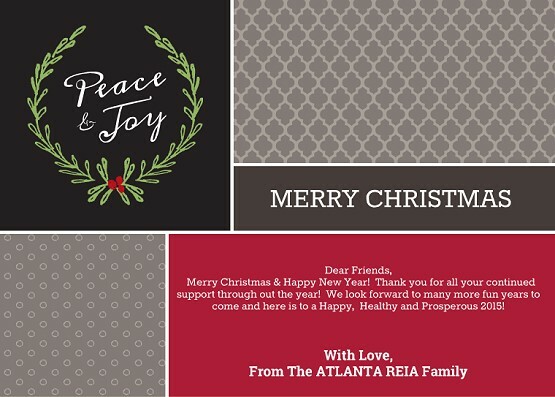 All of us at Atlanta REIA want to thank you so much for being a part of our organization this year and want to wish you and yours a very Merry Christmas and a Very Happy, Healthy and Wealthy New Year! We look forward to another great year in 2015… More deals, more networking opportunities, more affordable training workshops & boot camps and much more fun! We’ll see you on next year! Thanks again and God Bless! 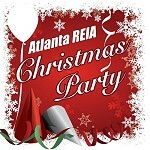 Atlanta REIA BIG Christmas Party! All Members & Guests MUST RSVP Online to Attend. *Food & Non-Alcoholic Beverages Included! Atlanta REIA wants to wish you a very Merry Christmas and Happy Holidays! On Monday, December 15th at 6:30PM, we’re having a very special Atlanta REIA BIG Meeting & Christmas Party at the Hudson Grille located at 6317 Roswell Rd NE in Sandy Springs, GA. Atlanta REIA Gold Members can attend for $10, Silver Members for $15 and Guests for $30. RSVP Now & Save Your Seats! *PLEASE NOTE: Food and non-alcoholic Beverages will be provided for those who register and show up on time. Attendees can also order off the Hudson Grille menu and/or purchase adult beverages at the cash bar at their own expense as if they wish. 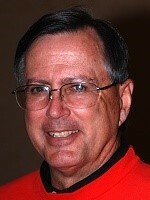 We also have a very exciting line up of guest speakers whom all happen to be Atlanta REIA subgroup leaders. We also have ten vendor sponsors who will be in attendance as well. There will be lots of food, fun, networking, education and a cash bar as well. Come and celebrate the Christmas season with your fellow real estate investors and get ready for an exciting New Year full of new opportunities and exciting possibilities. RSVP Now! This Christmas Party will sell out fast, so please RSVP Now to reserve your seats so you can come celebrate the holiday season with us! Again Atlanta REIA Gold Members are $10 per person, Silver Members are $15 and Non Members $30. The small fee is to help cover the food and room rental. RSVP Now and we’ll save you a seat. We hope to see you there! RenterUp – RenterUp is an online platform that simplifies rental management for busy property managers by helping them collect rent, manage maintenance issues, and manage their rental applications. Century 21 Results Realty Service (Scott Swanson) – Centruy 21 Results Realty Services is like no other real estate company and that is our promise to clients and customers. Our associates are the experts in the Atlanta area from Buckhead to Lake Lanier. Comcast Xfinity (Dylon Ross) – Comcast Xfinity provides the fastest In-Home Wifi, home phone service, and a total home security and control solution that simplifies your life. For as Little as $495/year? The Profit Newsletter Advertising Special for 2015: Also, we have a great New Year Special running on One Full Page Ad in The Profit Newsletter for Atlanta REIA Business Members. Gold Members can get One Full Page Ad for One Full Year for Only $495! Silver Members for Only $695! 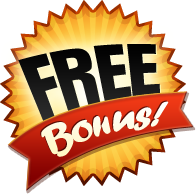 Any of our current advertisers can take advantage of this special as well. We will simply add an additional year to any remaining ads you have with us. If you sign up now, your Ad(s) will run from January 2015 through December 2015. We are limiting this special to the 1st 10 Vendors who commit, so click here to Sign Up Now for As Little as $495/Year! Offer expires soon! We are pleased to announce that Joe Thompson will be our special guest speaker this month at the Atlanta REIA South Group on Wednesday, December 3rd at 6:00 PM at Club E located at 3707 Main Street in College Park on the topic of Goal Setting. Would you ever build your own house without a detailed set of plans? Why then would you try to build your business without a great plan? Do you know that only 7% of Americans retire financially secure or wealthy? Their secret? Planning! Would you like to be part of that 7%? Joe Thompson will show you a step-by-step process to shift your strategies and create a 2015 Action Plan that will create massive RESULTS in your business. Take control, get organized and learn proven profit strategies that will guarantee that 2015 will be the best year you have ever had. Come join us at Creative Deal Structuring on Wednesday, December 3rd at 6:30PM at Hudson Grille located at 6317 Roswell Rd in Sandy Springs where Regina Sitterley will be presenting how a full-time mother of 3 daughters, with a W-2 job, can succeed in real estate investing using very simple techniques that anyone can learn and implement. Most of us would consider ourselves busy people. Obligations and responsibilities can seem to take up so much of our day. We all have the same 24 hours though, right? You may have wanted success in real estate investing, but just do not know where that could fit into your busy schedule. 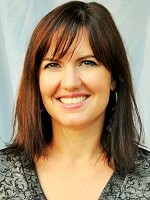 Regina is someone who has discovered how to juggle her busy life and make her real estate investing a success. Come join us on Wednesday, December 3rd at 6:30PM at Hudson Grille located at 6317 Roswell Rd in Sandy Springs and let Regina Sitterley show you how she has made her investing a great success. If you haven’t had the success you want in real estate and think you just don’t have enough time, this is one event NOT TO MISS! Do You Have A Deal Or A Dud? What Tools Are Available To Manage Your Time? Before our main presentation, bring us your deals and let’s see how we can make several creative structures for maximum profit! Led By Russ Hiner. Atlanta REIA Members can attend at No Charge! Non-Members pay $20 per person. Seating is limited! Get there early & network! Do You Have Alternative Financing Options in Place for 2015? 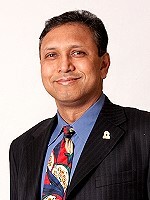 Mr. Eric Barlow of FundSource Financial, LLC will be speaking about Alternative Financing Options for 2015 at the next Small Business Group on Thursday, December 4th at 11:30AM at the 5 Seasons Brewery located at 5600 Roswell Rd in Sandy Springs, GA. Investors will learn how to use Unsecured Credit Lines to explode their business as well as Alternative Residential Investment and Commercial Funding options to conserve the investor capital and allow them to do more deals. How to explode your REI Business in 2015 with Unsecured Credit whether you are…. How to get 0% financing for 12 months without needed to verify Income or Assets. Alternative financing options that most investor don’t know exist. We will meet at our usual location at the Hudson Grille at 7 PM and be there until 9:30 PM and then hang out and have our meeting after the meeting until late. SPECIAL BONUS JUST FOR ATTENDING: Roger will be giving away his “Real Estate Success Secrets” DVD along with the PowerPoint Slides to follow along. Supplies are limited and will be given away on a first come, first serve basis. Arrive to the meeting early and stay late to network with other like-minded investors, vendors and other real estate professionals. WIN A 4 NIGHT STAY IN CANCUN: All participants who attend the AIM Meeting will entered into a drawing for a chance to win a *Complimentary 5 Day, 4 Night Stay in Cancun! *You must be present at the meeting to win. Giveaway does not include dining, transportation, transfers, taxes, upgrades, etc.